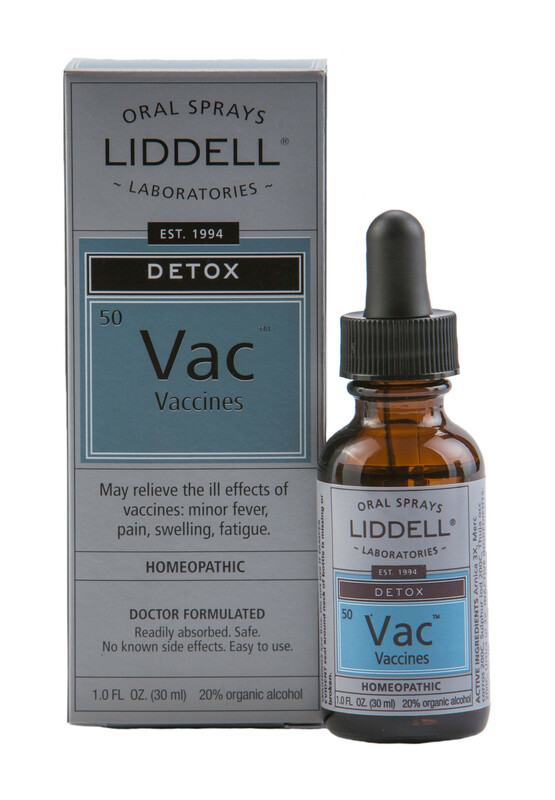 Vaccines combines low dilution ingredients that may help relieve current symptoms and high dilution ingredients that may help to lessen the ill effects of present and past vaccinations. SKU: 363113262964. Category: Detox. Tags: homeopathic, Liddell, Vaccines Detox. Vaccines Detox may relieve the ill effects of vaccines such as: minor fever, pain, swelling, fatigue. Adults & children over 12: Place 15 drops under the tongue 3 times per day. Children 2 to 12: Administer 1 drop under the tongue per year of age, 3 times per day. Children 1 and under: Administer 1 drop under the tongue, 3 times per day. For recent vaccinations, use daily for two weeks. For old vaccinations, use daily for one month. Consult a physician for use in children under 12.